Dog friendly, real ale pubs visited by the Springer Sisters. Mostly in the South Eastern counties. 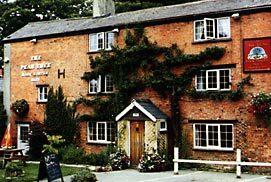 Wheelwrights Arms Matfield. Adjoining Matfield Green. Shepherd Neame ales. Well behaved dogs welcome. Occasional morris dance. The Griffin Fletching. Near Uckfield, Sussex.Well kept ales. A charming beamed pub. Get there early, its a popular eating place ! Leicester Arms , Penshurst . Good beer ad food. The Bell and Jorrocks. Frittenden. Good local pub. 5+ real ales. Music (various) and morris occasionally. The Spotted dog .Penshurst. Good beer good food. Good garden views. Beamed bar. The Bowl Charing. Beer festivals, food, B & B. Morris dance etc. Lots of outside seating and water for dogs. 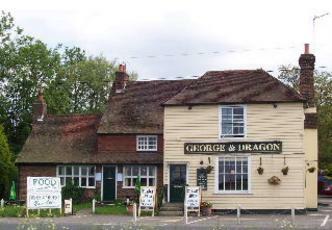 A popular pub with regular music of all types and vintage car and bike meetings. The Half Moon. Horsington.Templecoombe Somerset. between Sparkford motor museum and Dorset Steam fair site . B & B. good beers and food. Anchor Inn Barcombe. Sussex Riverside old world pub with boat hire. The Bell. Waltham St Lawrence. Nr Maidenhead. RG10 0JJ. A charming village pub full of character. Beams and panelled walls. Nice garden. 4 real ales well kept. Good food.